This is my first post in my Festive bakes series! Festive bakes you ask? I told you guys last time that I had a number of big cake projects lined up at the end of the year. This one is the first! Well it is a 4 part series made up of two fondant cakes and two designed celebration cakes. While I know this may be a boring post (self reflection post), baking does that to me. Sometimes our expectations are too great for our skill level. As a self-taught baker, making the transition to professional or industry standard baking has been incredibly difficult. I am not talking about the skills you need to refine or the tricks you learn from experience; I am referring to the rapidly changing standards you have for yourself (well your baking anyway). Think about the first time. When you first begin to bake for yourself; your standards are quite low. 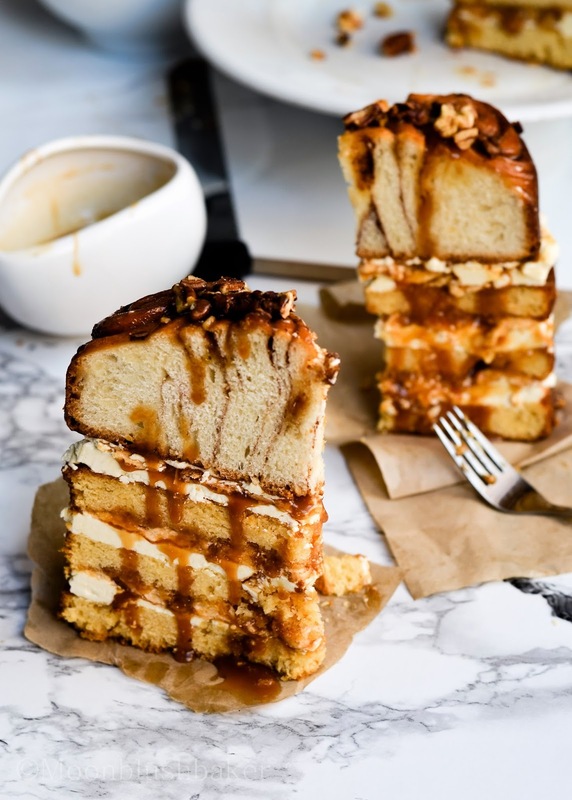 Most likely first time you made a cake or a new dessert it did not turn out perfect but you were over the moon that it resembled what you were trying to achieve. I know my techniques may not be perfect and I have a long way to go to become a professional; but I hate when people tell me to not compare myself to them. Industry baking and home baking are two completely different things. Home baking is fun and light hearted; as long as it taste really good, I am happy. On the flip side when bake with professional standards in mind; nothing can go wrong or else… MELTDOWN…..
Can you guys relate? Anyone looking to break into the professional business struggle with their expectations? Maybe you can share some thoughts with me. Now enough with myself indulgent rant. The occasion I made this cake for is my Dad’s Birthday. If you saw last year’s cake; you will know this is completely different. No sprinkles; no confetti and no chocolate for that matter. Here is key example of home baking. This cake did not turn out how I imagined it. Not the look but the texture. All the components where very nice but my constructing technique was not right. I left the cinnamon roll topping in the fridge for too long and dried out; for anyone that know bread (bread does not go the fridge EVER). However the cake combination at the bottom is one of my faves. 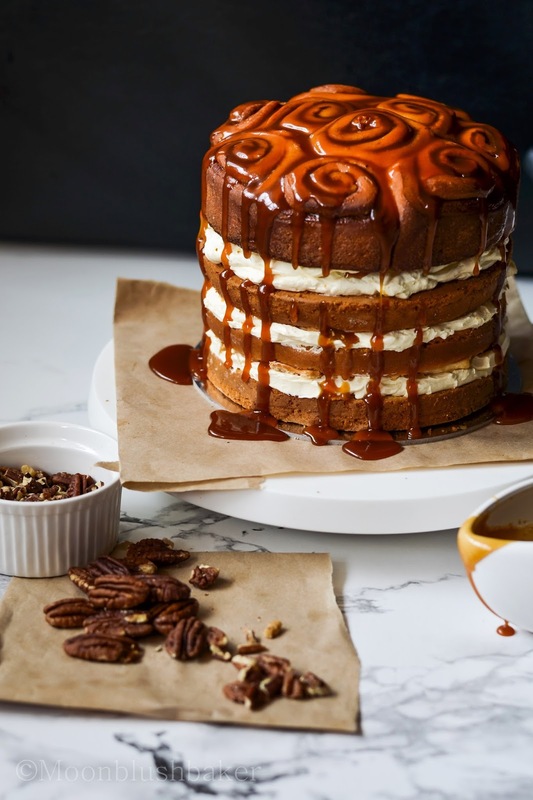 The butterscotch sauce heavy flavoured by bourbon seem bring some Christmas cheer to the cake. Layered with whipped cream, crunchy brown sugar meringues and egg yolk sponge; I thought it was too pretty to be covered up by a layer of buttercream (not that I was too lazy to make a batch or defrost it). 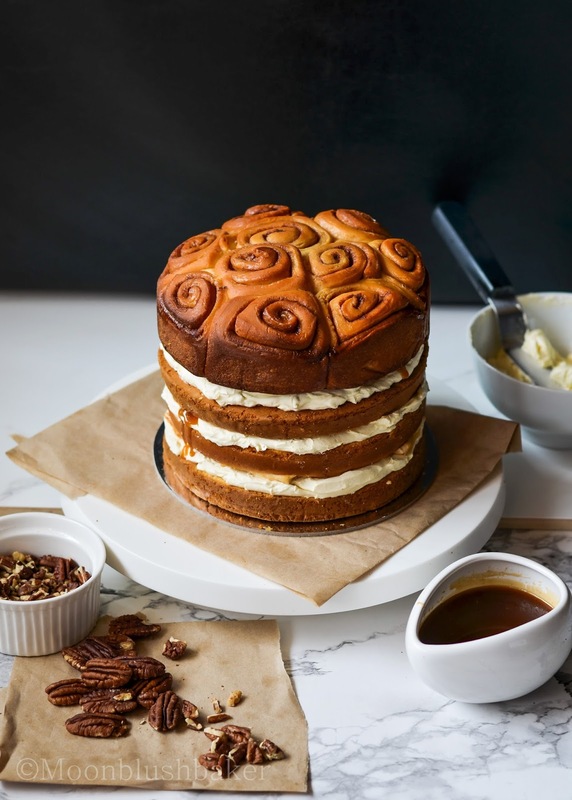 Simply this is a cake that may not win a beauty contest or even come close to professional bakeries but it does remind you of the classic cream filled sponges. Slightly sweetened; yielding fragrant cake layers; not too robust but highly flavourful due to good quality ingredients. In addition the extra special spark that comes from baking with love. The cake is a bit last minute job but it is well worth it. Cheesy? Yep but He deserves it. 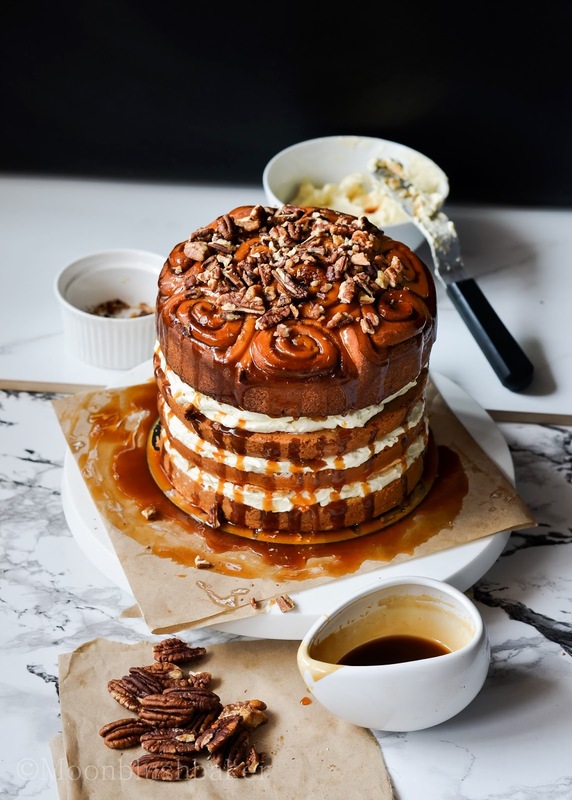 Boozy caramel Cinnamon roll cake. Shift your corn flour and cake flour over large bowl twice. Line your 4 greased 18cm pan with baking paper. Combine oil and butter in a jug. In a stand mixer whip the eggs, yolks, sugar and salt until it is triple in size and forms a thick pale ribbon. Sieve over flour and fold into the egg mix. Pour butter/oil mix down the side of the bowl in three stages. Fold it in while turning the bowl at the same time. Once in the oven turn the heat down to 170C and cook for 25-30 minutes or until a skewer comes out clean. In a sauce pan melt caster sugar, brown sugar, syrup over low heat for 6 minutes. Bring to gentle boil for 3 minutes. Remove from heat source and whisk in thicken cream. Set sauce aside until needed. Pre heat oven to 120c. Line two baking trays with baking paper. In a large bowl whip on high with an electric mixer till soft peaks. On medium speed add your brown sugar one table spoon at time whisking well between each addition. Place tablespoons of egg mix on trays. Any shape will do. Bake in oven for 1 hour and half. Turn oven off and leave the door slightly open to finish drying out. Place on cake at the base of your cake plate. Spread with whipped cream; making a shallow dam in the middle. Pour 50ml of butterscotch in this dam. Crush your brown sugar meringue in large pieces on top the cream and butter scotch. Repeat for all 3 layers. Transfer to fridge for 30 minutes. Serves with more butter scotch sauce and top with pecans. Hehehe You found out where I get them! I love them and the cafe too. Aww you are too sweet Erika. I am pleased my rant made sense… I thought i was going nuts>_<. This cake is UNBELIEVABLE, Belinda. Just stunning. So original, and just so wonderfully and beautifully done. Thanks for this much-needed dose of Monday morning aesthetic/sugary goodness. And so much to love about your post — I think what you said is so spot-on in multiple ways. The unrealistic standards set by the Internet (sometimes I mention what I’m making to friends who don’t blog, and they look at me with this expression of surprise mingled with alien-from-outer-space and it reminds me that not everyone, say, makes their own ice cream or layer cakes or even cooks at all!) and especially the incessant need to point out your own mistakes, even when they’re not visible. I am definitely guilty of the “if I can do it, you can!” line, too (perhaps another symptom of the unrealistic standard syndrome, though I do feel it’s true when I say it! hehe). Thanks for such thoughtful and honest commentary. And, I beg to differ — this cake could definitely win contests and be in a bakery! Perfection. I think we all want people to be great cooks, that why we say it; we want these things not to seem as scary so they WILL try it. You are more likely to try something if you are not afraid. I am not bashing people who do because they have good intentions. I am sure you mean well on your blog ^_^ .The world of food blogging does dilute you little bit (guilty as charged too). Thanks Cynthia! 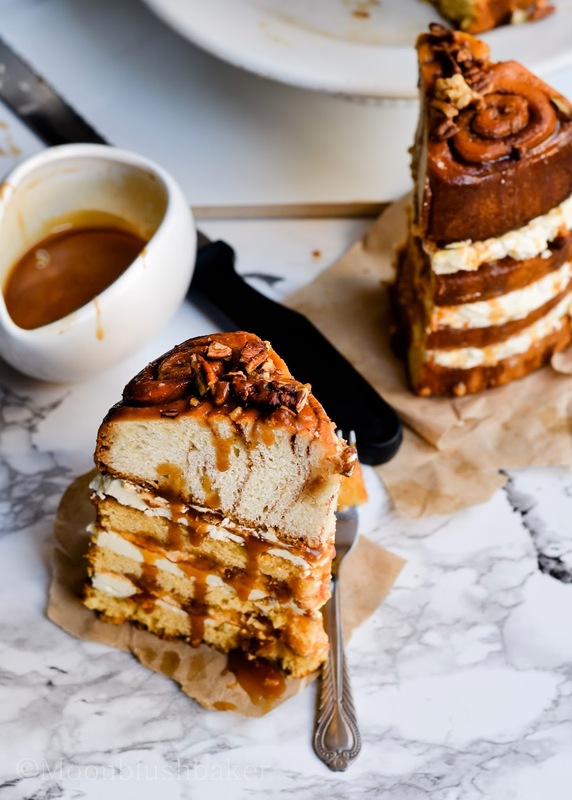 I got the idea from my post about pancakes on cupcakes; Why not a cinnamon roll on a cake? I am really happy it has been so well received! In a word . . . AMAZING! That is a work of art! Thank you Valentia! I am blushing at your comment. :O Is this real life?! This is one of the most amazing things I’ve ever seen. I don’t know what you’re talking about…this cake looks STUNNING! Actually, I do know what you are talking about, because it IS really hard to make everything look amazing and perfect. I toss out so many recipes without posting them (actually, I eat them. They just don’t get a photograph). Haha me too. I have so many kitchen fails; I bake at least every two days, so MANY do not make it here. Thank you Dina, your latest food outting was mouth watering! What the what!?! This is absolute tremendous! And you say it’s the first part? Shut the front door. I absolutely cannot wait for the next parts! Don’t get your hopes too high. They might not be as impressive as this but I am sure you will still love them. 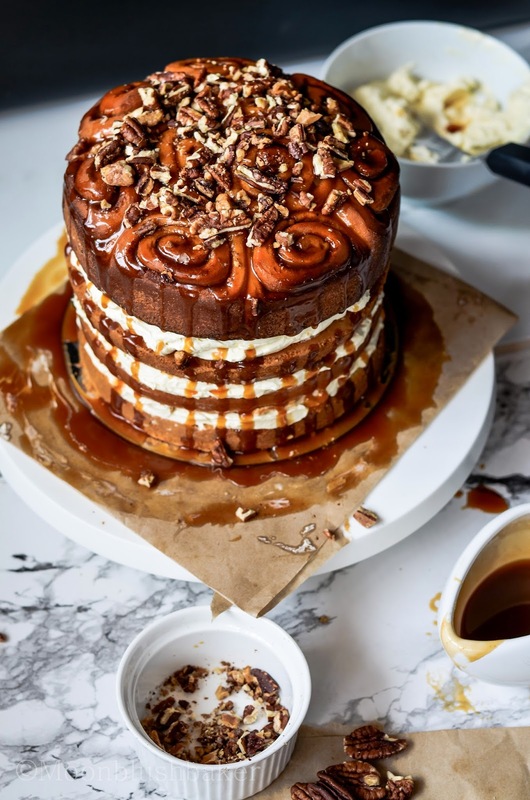 First of all, the cake is just gorgeous and cinnamon rolls on top are brilliant! It looks something out wonderland creations, truly. You are very wise. i am so irrational when I bake sometimes but now I am more aware not to be so hard on myself. 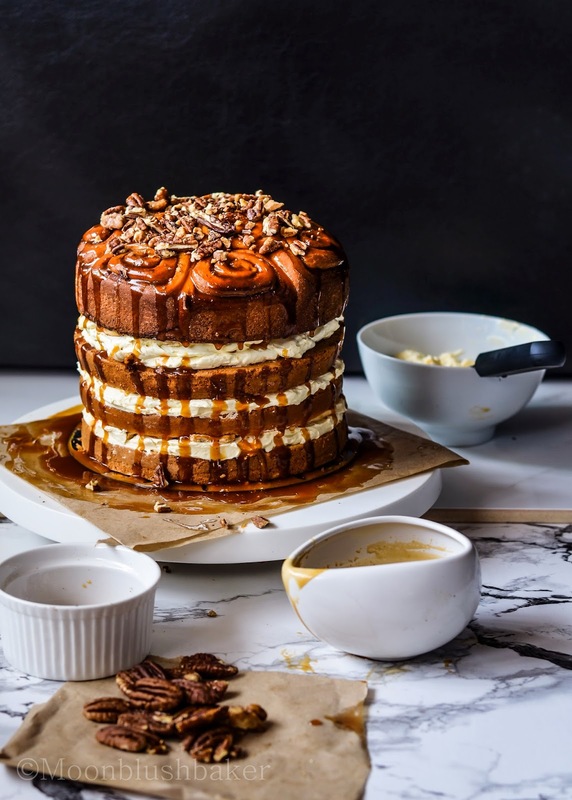 Such an incredible cake, I love the top layer of cinnamon rolls! Thanks Laura, They are the best part! This is a thing of beauty! Love it!! Thanks Lisa. I am sure with your culinary skill you can re create it at home too! 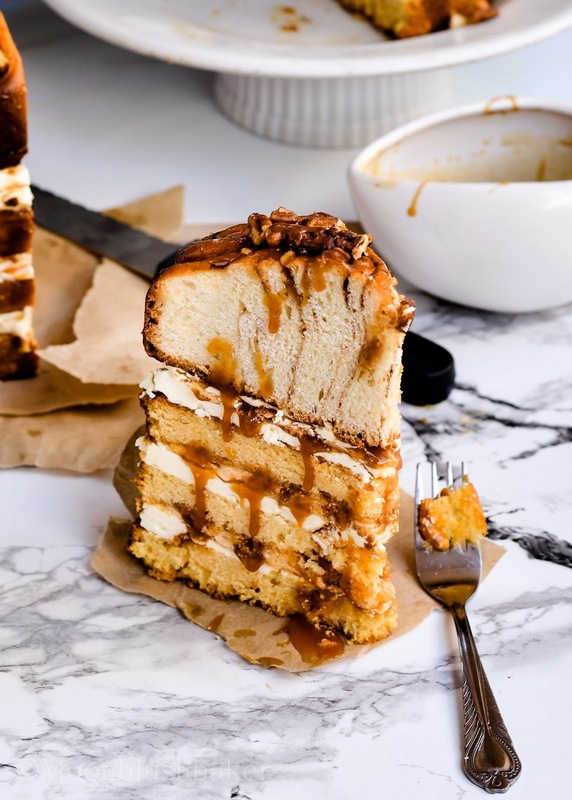 That cake is nothing short of amazing! I want to dig right in!! Thanks for linking up with What’s Cookin’ Wednesday! Thanks Karly I should be thanking you for you lovely link up! Your comments are always so lovely. Wowowow this is insane!!! You are a master baker! This cake looks fabulous! Can you tell me what thicken cream is and where I might find it here in the states? Also, from what I’ve read, corn flour is what we call corn starch here. It is used as a thickening agent. Does that sound right? Thicken cream can be subbed with normal 35%min fat pure cream. Ye the corn starch is corn flour.